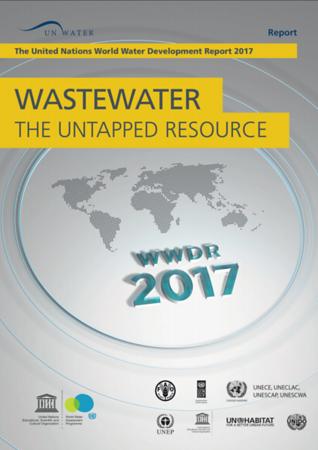 The 2017 edition of the United Nations WWDR, the forth in a series of annual, theme-oriented reports, addresses an often overlooked issue that is critical to water resources management and the provision of basic water-related services: wastewater. Maximizing wastewater's potential as a valuable and sustainable resource requires creation of enabling environment for change, including suitable legal and regulatory framework, appropriate financing mechanisms and social acceptance. With a political will to do so the current obstacles, such as lack of knowledge, capacity, data and information on wastewater, can be effectively overcome.